Are you looking to study business in Europe? There are many award-winning institutions there, and today we are exploring some of the finest ones – Toulouse Business School and Paris School of Business. But where should you choose to study? Here, EDUopinions takes a look at the comments from those who studied at Toulouse Business School and Paris School of Business to see which school offers what. EDUopinions is an online platform where you can read real, verified student reviews about universities from all over the world as well as get free information about them. This is a fairly new university with a little more than 100 years of history. Even though it is a young institution it has already achieved many valuable accreditations like EQUIS, AMBA, and AACSB in the Business field.TBS is present in three countries: Spain, France, and England. The teaching system in all three universities is personalised with a big commitment to professionalism and an international atmosphere. TBS Barcelona has been ranked high in many international rankings. 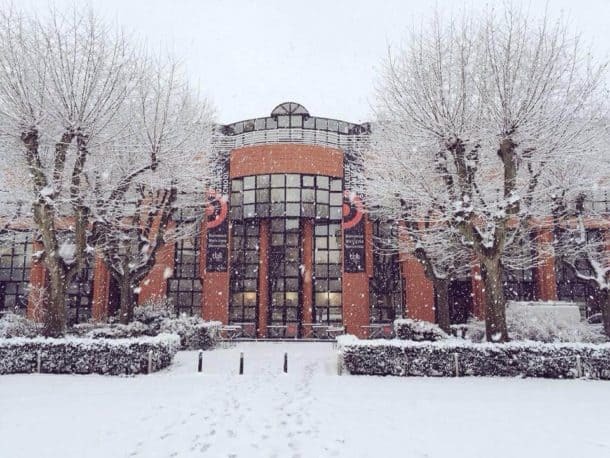 Toulouse Business School has 56 reviews and the students have given an average rating of 4 stars. Josaine talked about how she spent her year as an exchange student. She said that TBS is located at the heart of Barcelona. In its small building, the school provides every facility for their students. She particularly noticed that the French speaking students prefer Toulouse because of its connectivity to France. At Toulouse Business School, I spent my one year as exchange student but this time was enough to understand specifics of the school. It is located at the heart of Barcelona. In its small building, school provides every facility for their students. Especially french speaking students prefer school as basis of university is connected to France. Its both bachelor and master degrees are high valued. Therefore school welcomes many students from different parts of the world. Students also seemed to like the professors here as they are educated and the classes are presented well. They also liked the fact that doing an internship is mandatory as it helps the students to apply what they learnt in the classrooms to understand the problems in the real world. TBS-Barcelona is a great university. The professors are good with the exception of few. The program includes a mandatory internship that the students has to do at the end of each year. This in my opinion what makes the university different. This gives the students the opportunity to apply what they learned throughout the year, which will allow the students to graduate with some experience in the fields they might work in. There’s a lot of practical learning here that is not present in some other universities and even the teachers are very willing to help even in their own time. Practocal learning, more practice than theory and in turn its a new approach which in my opinion allows you to better understand the concepts being taught. Furthermore, the teachers are always willing to help and will even do so in their own time. Some students also praised the fact that since the teachers come from a business background the method of teaching is very task oriented. This helps the students understand business from a real world point of view and not just theory wise. It is a good way to start a career in the business world. There are mostly positive comments about TBS by students who have loved the fact that the school is in the centre of the city so that commute to their home towns can be easier. They also like the task-oriented teaching style by the business professors which enables learning faster. The fact that TBS organises internships is also a plus point. Researching Universities or Business Schools? Paris School of Business was founded in 1974. It is a European elite Grade École management school with international focus that offers a wide range of Higher Education fully taught in English. PSB offers a three year BBA programme in Finance and Accounting, International Marketing, International Management, and other such courses. Executives who want to specialise in economics and socialism in an international environment should apply to the Doctorate in Business Administration programme. Paris School of Business has a four-star rating thanks to its six reviews on EDUopinions. Students exclaim that Paris Business School is one of the best business schools in Paris and the curriculum is not only gruelling but demanding as well. Moreover, all students must have at least 1 year abroad in the 3rd year, in a partner university. There are some around the world which leave a great choice to the students as to their destination. This is a great practice as all the students are more globalised and open to new cultures. I had a very good experience in this business school for 5 years. The faculty is very good, often shared with the best universities and business schools in France (HEC, Sciences Po …) The curriculum is also very interesting, with an extra-pedagogical itinerary which aims to give an operational dimension and training during the 5 years of schooling. It is organized around 7 discoveries: discovery of oneself, others, cultural and religious, institutional, trades and behaviors, international + a module innovation and discovery. Moreover, all students must have at least 1 year abroad in the 3rd year, in a partner university. There are some around the world which leave a great choice to the students as to their destination. Finally, on our return we have the possibility to carry out our 2 years of Master in work-study in a company which allows in the same in gaining professional experience and to finance its last two years of studies. 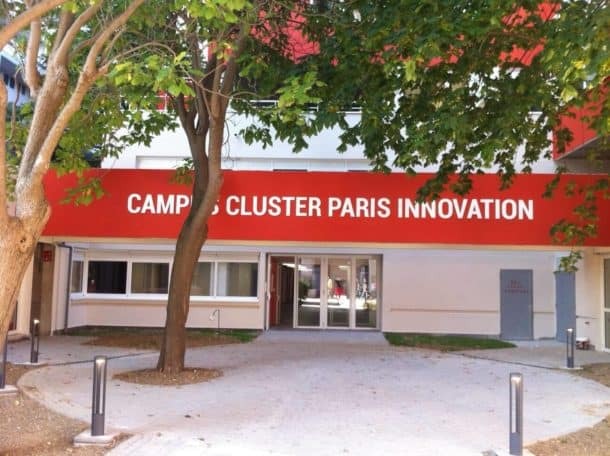 I did not have the chance to know the new premises but I heard that the Campus Cluster of PARIS 13 was top! Students also mention the Campus Cluster, which is a place to interact with new teachers and students. It gives the students an opportunity to get to know their classmates and teachers in an open environment. However, several points can be improved. First of all the administration is not very present, the premises is small, and the opening of a campus in Ivry (20 minutes away by transport) is not a solution, supervision (especially during exams) is to be reviewed. Paris School of Business is first and foremost a well located and accessible school in Paris. It includes a Cluster that facilitates exchanges between students. I attended the Grande Ecole program. This proposed program in itself is interesting. However, several points can be improved. First of all the administration is not very present, the premises are small and the opening of a campus in Ivry (20 min away by transport) is not a solution, supervision (especially during exams) is to be reviewed. More rigor should be put in place, at the level of the courses, so that students wanting to work are not disturbed by the disrupters. The courses offered can be further developed. You should also know that in the Prooframme Grande Ecole of PSB, a “Bachelor” degree is not issued to you, but you agree directly to the Master of PSB, which it does not specify at the beginning. PSB presents its students with good professors in some courses, who like to transmit their knowledge to you. PSB also offers seminars that will allow you to better understand the world of business. Their proximity to big companies and even major international tournaments, such as Roland Garros, is a great plus point. PSB is very international. The students praise the environment and say that it is a nice place to study and the professors are very experienced as well. Nice environment to study and we could get lots of information about what you are studying from the most experienced professors. They were not just professors but also employees in reputed companies they will share their experience. They will teach us WHAT, WHEN, WHY, HOW about business. I love studying at PSB. The most common view of Paris School of Business is that it is a great place to study and the students are globalised. The Campus Cluster is a great initiative by the University to make students and teachers interact with each other. Trying to Decide on a University? EDUopinions Can Save You Time! A lover of all things related to travel and anything that smells like coffee - I'm an avid wanderer. A writer and social media manager by profession, I'm a digital nomad who works while travelling. My blog Vagabond Stories helps me in quenching my thirst for adventures.